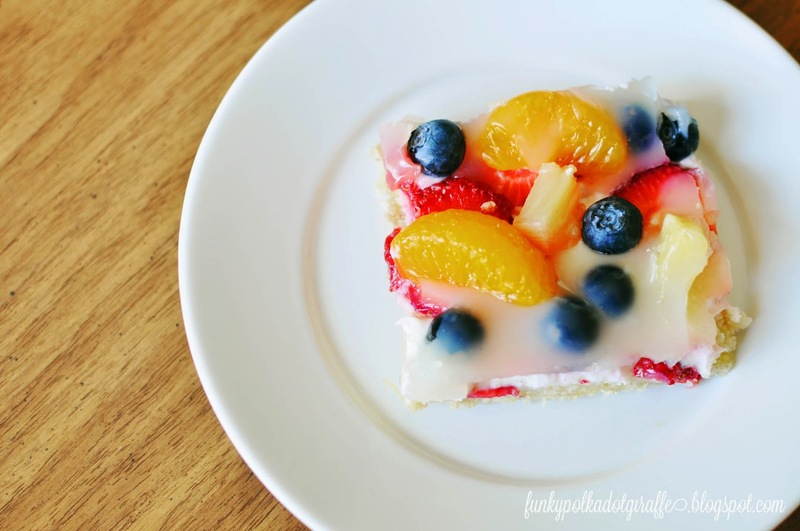 Do you remember the first time you ever had fruit pizza? Mmmmm . . . so good! 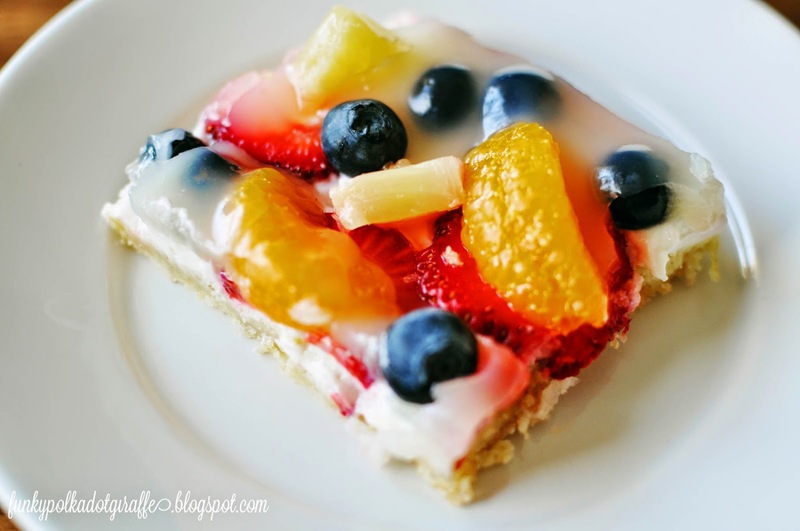 fruit pizza at the luncheon afterward. for any get together you're hosting during the summer months. 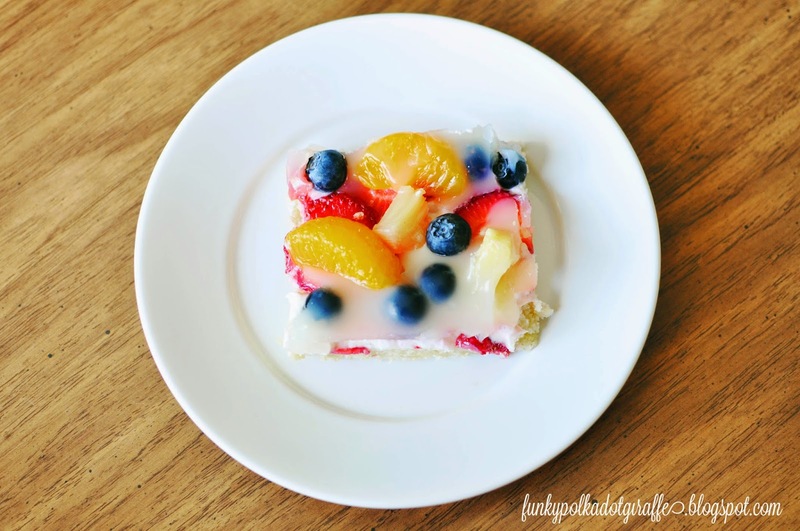 We like a variety of fruit on our fruit pizza and use both fresh and canned fruit. because we need the fruit juice for the fruit glaze that goes over the top of fruit pizza. What? 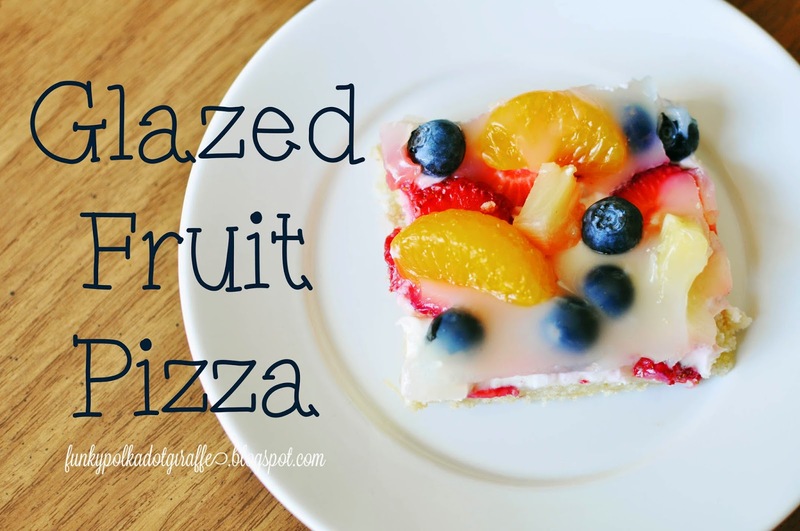 You don't put a delicious fruit glaze on the top of your fruit pizza? Then you are missing out! Let me help you rectify that fruit pizza injustice. Using a pastry blender, blend all the butter and dry ingredients together. Carefully mix in the eggs with a fork. With you hand, evenly spread the crust in a greased jelly roll pan. Spread evenly over the completely cooled crust. 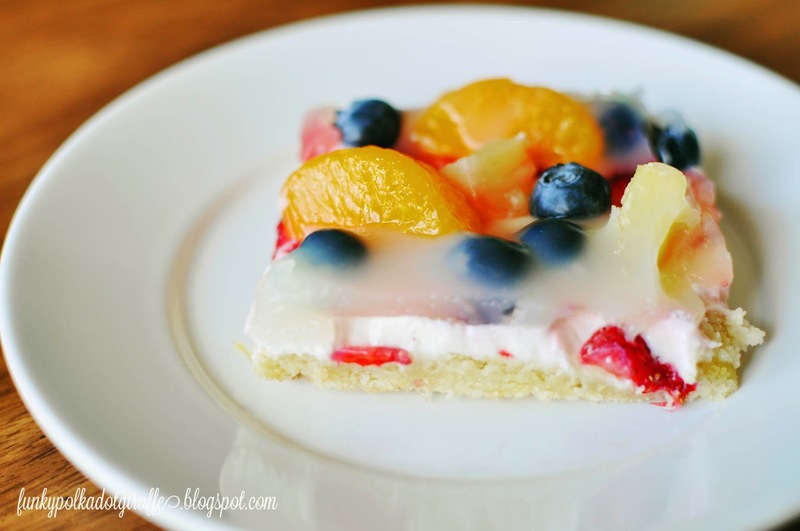 Next, layer your fruit all over the cream cheese layer. You can use anything in season. We love using fresh berries. Avoid bananas because they change color and don't look very pretty after a bit. You can make a pattern or, like my mom, you can just throw it own willy nilly. I used to balk at the thought of doing this, but it just makes sense. Then you get a bit of each fruit on your piece. Whisk together and cook on medium heat until slightly thickened. pour the hot glaze over the entire fruit pizza. Refrigerate for 30 minutes. Slice and devour!